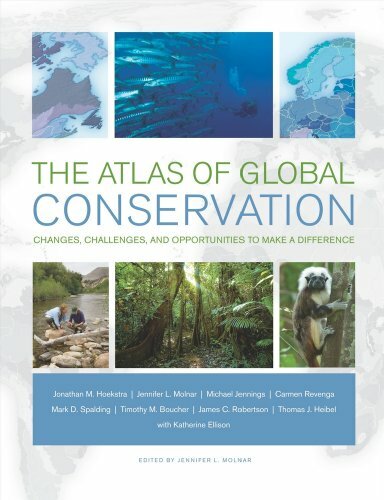 "The Atlas of Global Conservation is a premier resource for everyone concerned about the natural world. Top scientists at The Nature Conservancy have joined forces to create this guide to the state of the planet today. With over 80 full-color maps and other graphics contextualized with clear, informative discussion, this book offers an unprecedented view of trends across the world's terrestrial, marine, and freshwater environments. Interspersed throughout, essays by noted international authorities point the way forward in confronting some of our greatest conservation challenges." --BOOK JACKET.